Hop into the driving seat and put your brain in gear for an amazing ride with some seriously SuperTrucks. Be prepared to be dazzled by the fastest, loudest, most powerful, and coolest machines on the planet. Fast facts, colour photographs and feature stories bring the world of these vehicles to life in SuperTrucks. Follow real-life stories of the people who drive the massive machines; take a trip with a long distance trucker and accompany a life-saving paramedic in an ambulance travelling at full speed. You'll find pick-up trucks, military trucks and tankers as well as desert racers, amphibious trucks and monster trucks. Also, learn about the history of these heavy haulers and read all about the steam trucks of the 1920s; how they worked and what they were used for. 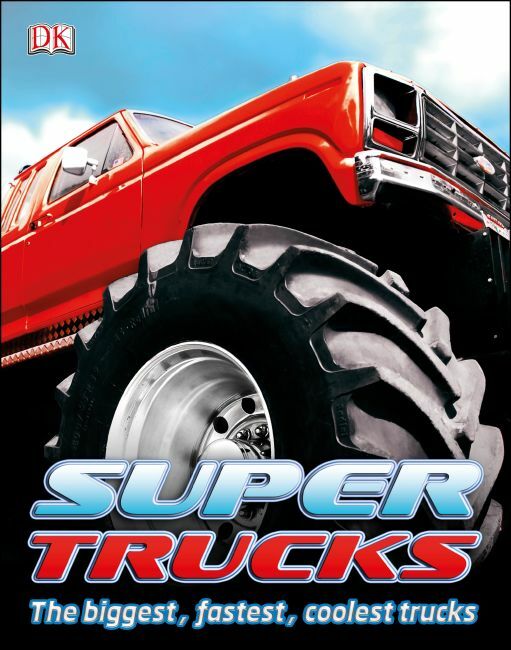 For anyone who loves to find out how things go, look no further than the amazing world of SuperTrucks.